« Arcade Fire is better at interactive than any agency out there. 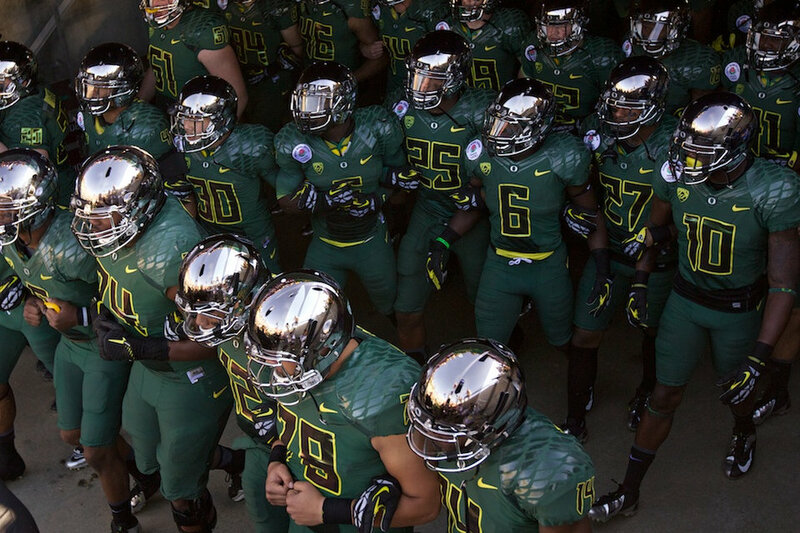 While I watched my Ducks win an amazing victory over the Wisconsin Badgers in this year’s Rose Bowl, I wondered how many high school football players are watching the game and thinking, “DAMN those uniforms are cool! I want to go THERE!” Even if it sways one or two players a year, that’s an advantage I’ll take. GO DUCKS! Those helmets are 100% FIRE. Or “liquid” rather, according to Nike. Either way, a fashionable W for the alma mater. I’ll take it.